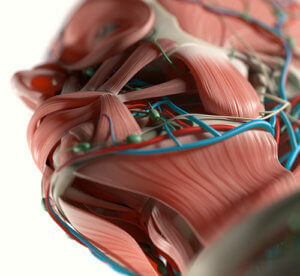 There are more than fifteen bones and muscles that contribute to the periorbital area. There is a rich interplay between the structures surrounding the eye, and treatment requires a full understanding of function and form. Chicago plastic and reconstruction surgeon Dr. Marco Ellis provides care for patients with deformities or wounds involving their upper and lower eyelids, eyebrows, and cheek. In addition, he has experience in managing patients with injuries to the eye socket (orbit) and cheekbones (zygoma/maxilla). During your consultation, Dr. Ellis’ goal is to investigate the underlying cause of the asymmetry, whether it’s congenital or related to a previous surgery/injury. Testing in the form of cross-sectional imaging (CT, MRI) can provide insight into the necessary areas of improvement. Digital photographs and 3D simulation are valuable teaching tools to demonstrate Dr. Ellis’ proposed treatment plan. Dr. Ellis collaborates with representatives from Northwestern Memorial Hospital’s Departments of Dermatology, Ophthalmology and Oncology to provide multidisciplinary care for patients with periorbital concerns.